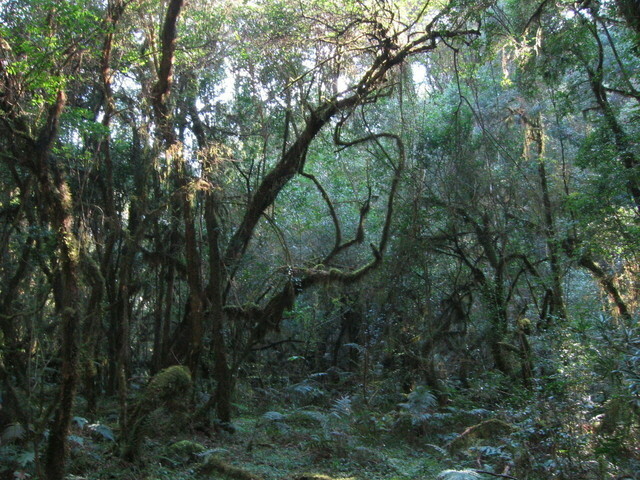 African rainforests are the second largest rainforests in the world. 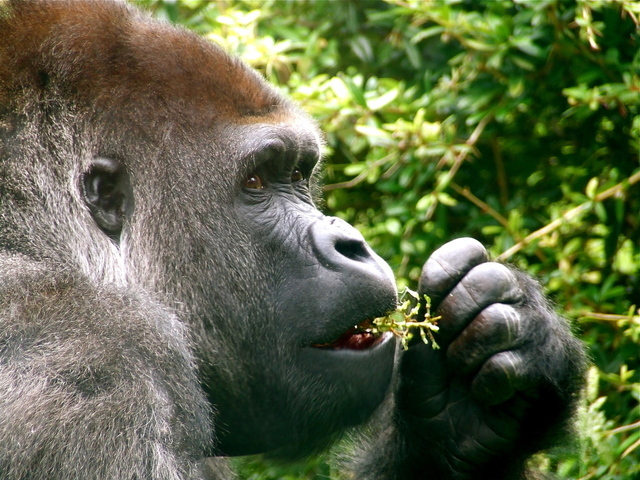 There are some dense jungles in central Africa, known for the rare mountain and lowland gorillas and chimpanzees. The rainforests of Sierra Leone contain wildlife like leopards, forest buffaloes, forest elephants, duiker antelopes, colobus monkeys, white-breated guineafowls and rufous fishing owls. 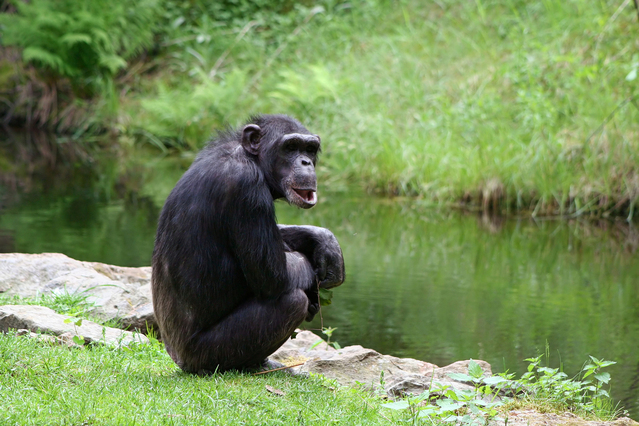 And of course, chimpanzees (Pan troglodytes). These intelligent primates have 98.4% of their DNA common with humans. They use tools, treat injuries and illnesses with medical plants, communicate with noise, body language and facial expressions, and hold hands and share kisses and pats. Liberian rainforests contain over 260 tree species such as mahogany, walnut and teak; and wildlife like leopards, mongooses, groundhogs, antelopes, buffalos, elephants, pygmy hippopotamuses, monkeys and chimpanzees. Reptiles include crocodiles, tortoises, and snakes like boa constrictors, vipers and cobras. And birds include parrots, flamingos, weaver birds, bulbuls, pepper birds, woodpeckers, hornbills, hawks and eagles. 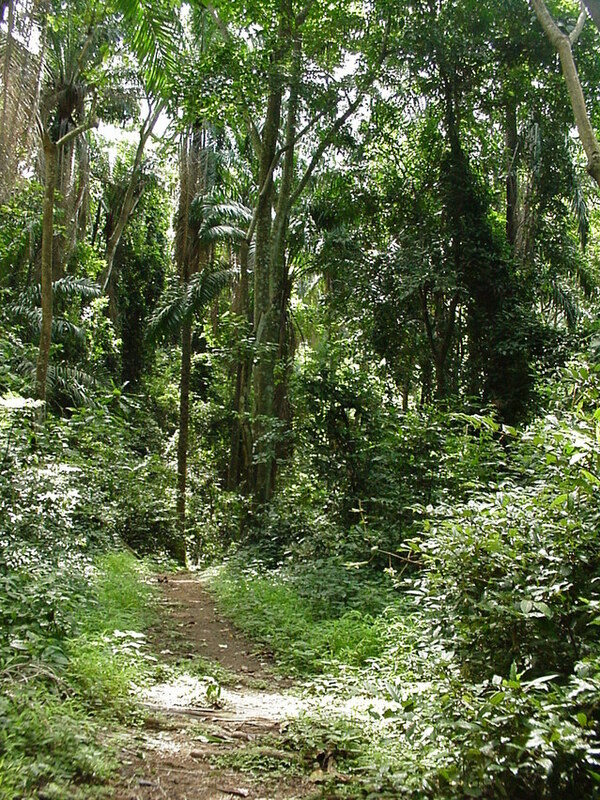 The coastal areas of Ghana, Nigeria, and Equatorial Guinea also have rainforests. These forests are home to buffaloes, crocodiles, elephants, mandrilles, patas monkeys (the world's largest monkeys), and populations of lowland gorillas. Central African rainforest covers large parts of Cameroon, Central African Republic, Equatorial Guinea, Cabon, Congo, Democratic Republic of Congo, Uganda and Rwanda. The Congo rainforest for example contains 11,000 plant species, including sapele, mahogany and iroco. Democratic Republic of Congo (DRC) contains the second largest rainforest in the world (after the Amazon) with 11,000 plant, 450 mammal, 1150 bird, 300 reptile and 200 amphibian species including large forest elephants, okapi (the only living relative of giraffe), shy monkeys like bonobos, and gorillas - calm, reserved and intelligent animals. 82% of the original rainforest remains in DRC, and the central parts are so dense and inaccessible that they are relatively untouched. Mbuti pygmies, the smallest people in the world, have been hunting-gathering in these thick jungles for centuries. 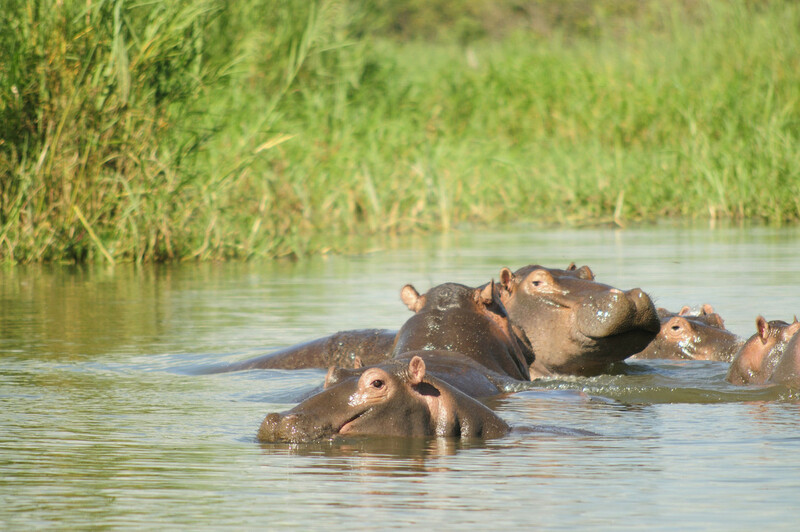 Uganda rainforests, such as Kibale Rainforest, Bwindi Impenetrable Forest, and Queen Elisabeth National Park contain elephants, hippos, antilopes, buffaloes, tree-climbing lions, mountain gorillas, chimpanzees, colobus monkeys, pythons and crocodiles. 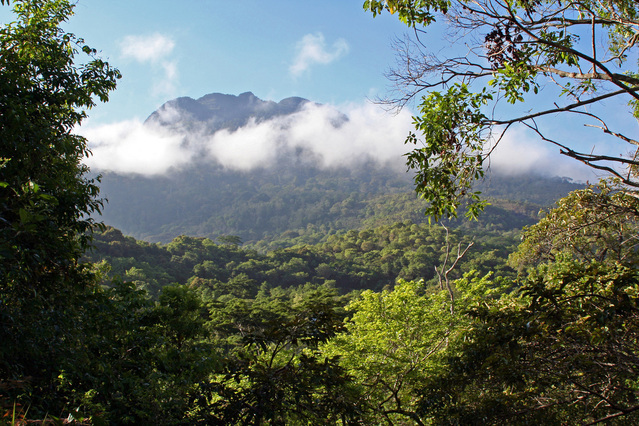 East and South African rainforests are not as dense as the central African jungles, but there are rainforests in Ethiopia, Kenya, Tanzania, Mosambique and Zimbabwe. These forests contain chimpanzees, colobus monkeys, elephants, deer, antelopes, chameleons, olive baboons and mongooses. Kenya's Kakamega Forest National Reserve for example has some 380 plant and 350 bird species, as well as mammals like porcupines, pangolins, otters, civets, antelopes, bushpigs, scaly-tailed squirrels, bushbabies, olive baboons, and blue, red-tailed and colobus monkeys. Madagascar Island, isolated from the rest of the world since Gondwana breakup, has unique flora and fauna, just like Australia. There are 12,000 plant and 7,000 tree species with about 80% being endemic. Like Australia, it has got eucalypt trees, baobabs, and also about 170 endemic species of palms, 900 species of orchids, and carnivorous pitcher plants. 80% of fauna is also endemic. 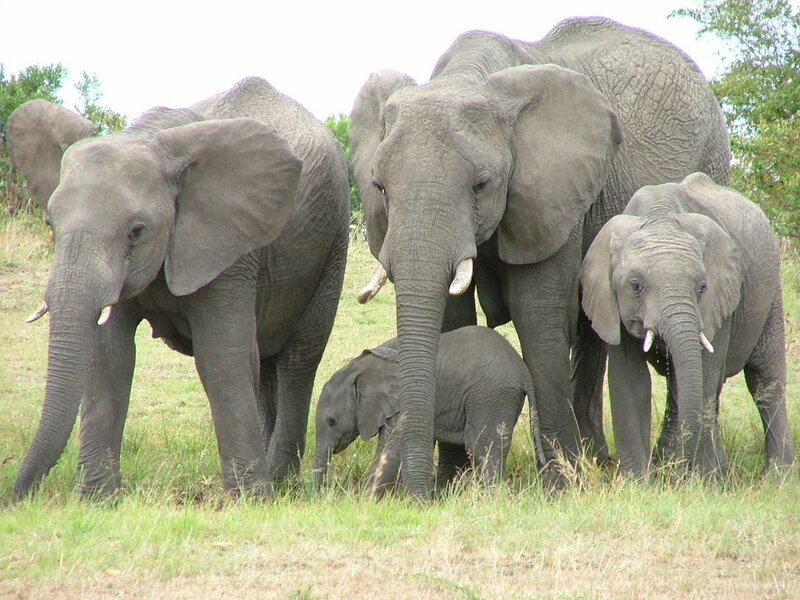 There are no elephants, giraffes, zebras, rhinos, lions, leopards or antelopes like in Africa. And there are fewer cobras, adders, vipers, mambas or pythons. Most snakes include boas, tree snakes and sea snakes. 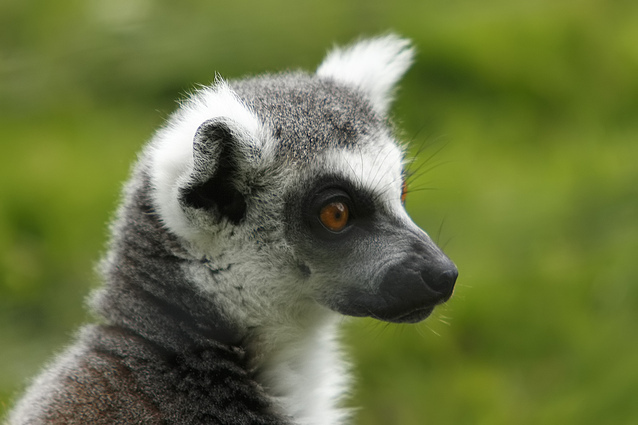 Animals include the famous lemurs, but also giant centipedes, mongooses, tenrecs, crocodiles, iguanas, geckos, aye-ayes, and hundreds of species of frogs. There are also 200 bird species including 70 singing bird and parrot species; kingfishers, eagles, roller birds, owls and falcons. 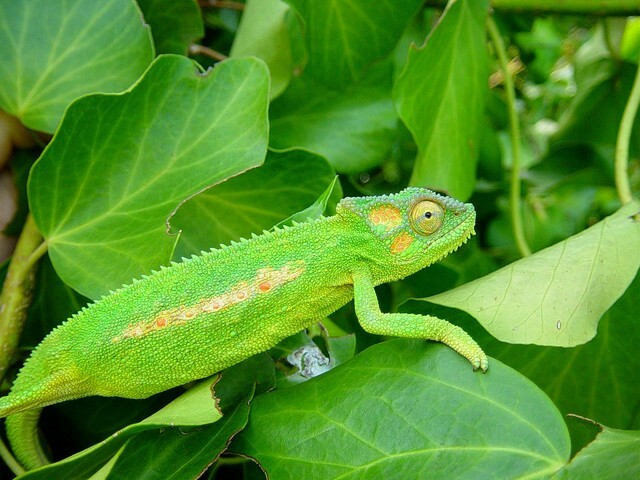 And then of course, the 150 species of chameleons including the bright green Jackson's chameleon and the pygmy stump-tailed chameleon.